Retiring in Belize, formerly British Honduras, has the advantage of not requiring a second language, it's English. Having said that the natives speak English requires a caveat. Living eight years in the Caribbean taught me that at the natives want to speak among themselves, with you present, you will not pick up one word in 10. They speak in what they call a patois, a sing song lilt that is pleasant to listen to but hard to understand. Personally, I think it is only good manners to try and learn the native language of a foreign country that you retire to... In the case of Belize, since they speak English, that is not necessary. You will have zero problem communicating with them. Belize is located on the Yucatan Peninsula, surrounded by Mexico and Guatemala. Offshore lies 200 miles of barrier reef, second only in size to the great barrier reef of the northeastern coast of Australia. It is this reef and the islands in its boundaries that attract the retirees. 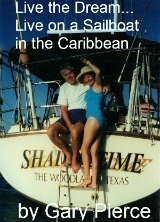 If sport fishing, diving or the beach life is what retirement means to you... Belize should be given consideration. Ambergris Caye is where most of the ex pats live...bring your fly rod, dem bonefish be a waitin. The islands offshore are the most popular... The main means of transportation are golf carts and bicycles, the roads are hardpacked sand. You won't need shoes to wear in. Some of these islands are accessible only by boat...mmmm, sounds like heaven to me. The total population of Belize is 300,000, the capital city is Belize city, the home of the main airport... Most residents of Belize live on the mainland. If history is your thing Belize is rich as seen below. Your housing dollar will go much farther there as well...but if you like the beach and no traffic I would head offshore...try limin in a hammock. The above picture is a Mayan temple recovered from the dense jungle. If language is a concern. 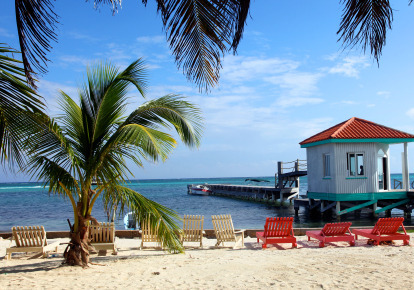 You should consider retiring to Belize. In my opinion, that is not a big deal but that is why there is chocolate and vanilla. It is also a favorite of divers and sport fishermen due to the proximity of the barrier reef.